The resort is spread over approximately 200,000 square meters, located in a prime location of Doha, abutting the Salwa Road; it has an Aqua Park on the adjoining site. 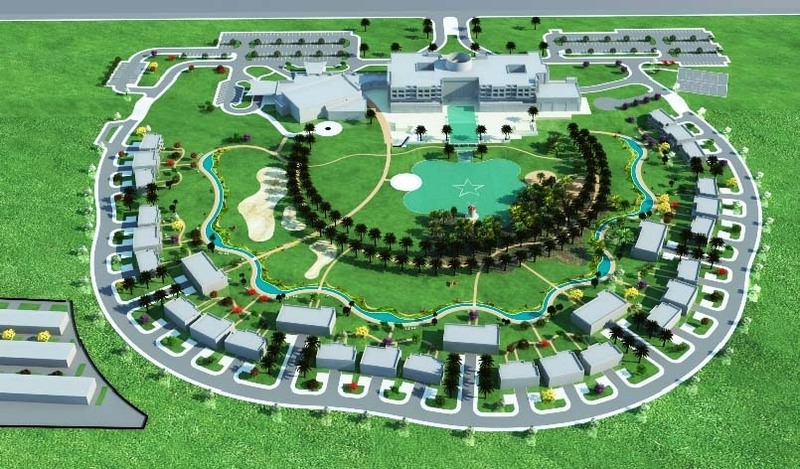 It includes a Luxurious 5 Star Hotel with 78 rooms & suites, outdoor and indoor swimming pools & spa, a choice of 29 villas contains 90 residential units, luscious landscaped lagoon areas, green parks, mosque, 3 buildings for staff accommodation, etc. The ring-shaped formation of the villas in the master plan creates a central landscaped area lashing with greenery, elegant lagoon water and all kind of lifestyle amenities and activities.